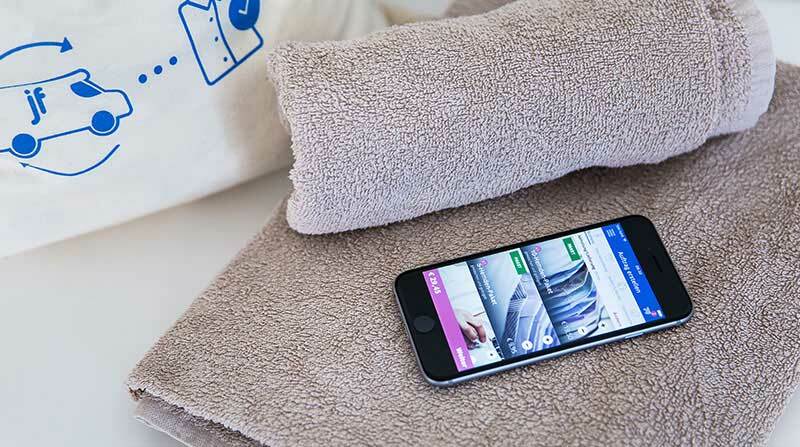 Jonny Fresh's online textile cleaning service is available for private and business customers in more than six major German-speaking cities. As the company grew, teams could no longer rely on Excel spreadsheets to analyze data from their MySQL database. They needed real-time, agile analysis. Stefan Michaelis, co-founder and managing director of Jonny Fresh, worked with Tableau partner Woodmark to refresh the data architecture and develop a set of Tableau dashboards to optimize logistics efficiency, create further growth, and optimize its marketing efforts. As a result, Jonny Fresh teams can better understand customers’ wants and needs to increase loyalty and ensure profitability. We can quickly get to the bottom of all interesting questions and we are constantly gaining new insights into our business. Despite the enormous amounts of data, we always have an overview. 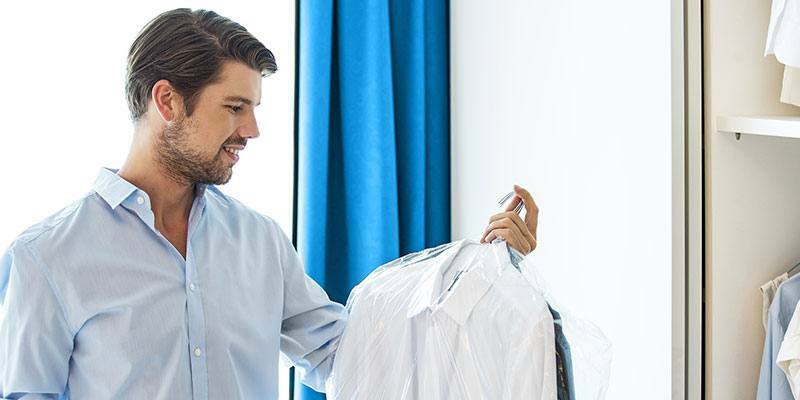 The online dry-cleaning service Jonny Fresh, headquartered in Berlin, offers private and business customers from Berlin, Hamburg, Munich, Cologne, Frankfurt, Hanover and Vienna extensive laundry services. Whether you need shirts, suits, a lab coat or a wedding dress cleaned, or your business requires towel service or laundry for employees, Jonny Fresh has you covered. Customers place their orders and request pick-up and delivery deadlines via the Jonny Fresh website, by phone or via smartphone app. Jonny Fresh takes care of the rest. The company cooperates with an efficient cleaning partner in each city, draws up optimized tour and time schedules for the collection and delivery vehicles and takes care of the entire logistical and commercial handling. After a stormy start-up phase since its foundation in 2013, Jonny Fresh decided in March 2017 to completely refresh its IT architecture, moving away from static Excel spreadsheets for the bulk of business analysis. "All analyses of current profitability, customer and business development were useless from one day to the next," recalls Stefan Michaelis, founder and CEO of Jonny Fresh. "We had to move away from this process." After a detailed market analysis, Jonny Fresh decided to test Tableau. "Evaluations based on maps are particularly important for us," explains Stefan Michaelis. “For the calculation and assessment of collection and delivery times and associated costs, which have a strong impact on the profitability of each individual order, and for the creation of route plans for delivery vehicles that are optimized in terms of time and cost, we absolutely need the geo-mapping function. And this is where one of Tableau's particular strengths was revealed." Within two days, we had the Tableau Online solution live across our company. As the company has limited IT capacity, Jonny Fresh worked with Tableau partner, Woodmark for support. "We have clearly defined our ideas and the extremely short time horizon for a test case," says Stefan Michaelis. “When we finally tried the dashboards presented by Woodmark, we were completely convinced. After two days of implementation, we had the Tableau Online solution live in our company." Today, Jonny Fresh uses Tableau for a variety of applications and continues to develop new analyses. The largest project is still the logistics sector. With Tableau, logistics teams use detailed maps to divide regions of individual post codes into several quadrants, enabling the company to expand sales and remain profitable. They can also compare regions to understand differing challenges, capacities, and customer structures dependent on location. Teams can also analyze the data in many ways—filtering by orders, number of new customers, day of week, or sales volume in a certain period of time. This allows Jonny Fresh to determine new opportunities to better understand its customer structure, optimize costs, and expand the business through targeted measures. Sales, customer support and marketing departments also use Tableau for day-to-day business analyses. For example, Isabel Zani, Marketing Manager at Jonny Fresh, uses Tableau to investigate responses from a large voucher card campaign. Jonny Fresh delivers €15 vouchers, by post, by hand on the street, and directly in offices in key sectors such as consulting and finance in all active cities. "All coupon codes, including city, distribution method and distribution date, are stored in an Excel spreadsheet and analyzed in Tableau." When a voucher is redeemed, Jonny Fresh’s marketing team uses Tableau to determine which campaign the voucher belongs to, which distribution method works best in each region, how long such vouchers are typically kept, and to determine how they affected start and follow-on sales. Isabel Zani said, "We use the knowledge we have gained to continuously optimize this marketing measure." In addition, Jonny Fresh continuously evaluates online activities on its website and social media channels. With Tableau, the marketing team connects to data sources like Google Analytics, AdWords, and social media data along with internal databases with customer and order data. “Of course, we are interested in where the users come from, what they are particularly interested in with us, and how long they will stay with us," explains Isabel Zani. “Thanks to Tableau, we can quickly get to the bottom of all interesting questions. This enables us to constantly gain new insights into our business and, despite the enormous amounts of data, to keep track of things."